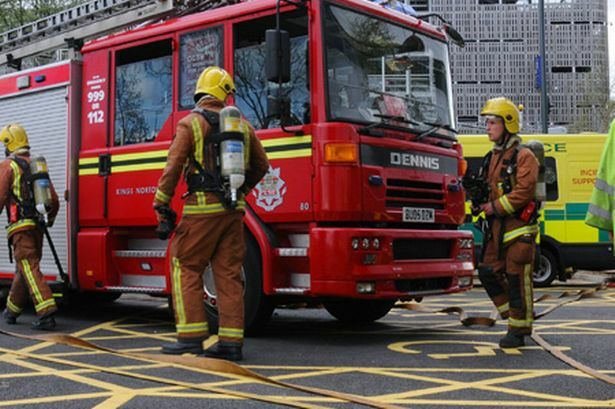 West Midlands Midlands Fire Service is slashing costs as it prepares to lose around £22 million a quarter from its budget next year. The fire authority has announced a freeze on the allowances and expenses its members receive. It comes as the brigade braces itself to lose around a quarter of its budget next spring in the latest round of the government spending cuts. Under the government’s Comprehensive Spending Review announced in 2010, the brigade managed to survive the reductions in its budget for the first two years. But it was warned that its cuts would be “backloaded” which meant it would face its most severe cuts in the last three years of the review – from April 2013 onwards. It has been preparing for this by reducing its costs over the last two years, but has warned it cannot rule out closing fire stations and making fire fighters redundant. Yesterday it froze the allowances it pays to councillors who serve on the authority from Birmingham, Coventry, Dudley, Sandwell, Solihull, Walsall and Wolverhampton. They all receive a basic annual allowance of £3,500 per year, with this rising to £12,250 for the vice chairman and £24,500 for the chairman. This usually goes up every year but at the annual general meeting of the fire authority they voted to accept a pay freeze. The authority also slashed the amount of travelling expenses members received. Usually councillors can claim mileage for every journey they make on fire authority business, but this has now been restricted to only making claims if they have to travel outside the West Midlands. Fire authority chairman, Coun John Edwards, said both were necessary belt-tightening exercises. He said from next April the authority could be looking at a 27 per cent cut in its budget – equating to losing around £22 million. “I cannot underestimate the considerable financial pressure we will be under if that happens – it will be a significant risk to our communities,” he said.